The connection between John Atcherley [ ] of Bristol and the events leading to the American Declaration of Independence in 1766 is a tenuous one to say the least. However it is enough for me to choose the Fourth of July as the day on which to write about him. When I originally wrote this article in 2011, the evidence connecting John with the rest of the Atcherley family was almost as thin as his link to events in America. I had yet to find a record of his baptism, but records of his death on 11 July 1777 and of his burial two days later, in Bristol (then part of Gloucestershire) said that he was 52 years of age. This indicated that he was born about 1725, which in turn suggested that he was the person who Roger Atcherley referred to as his “eldest son John Atcherly” in his will of 17 September 1755. Roger, a tanner who lived in Frankwell, Shrewsbury had married Ann Thomas at Condover in Shropshire on 10 May 1724. The first of the children for whom I had a baptism record was Sarah Atcherley, who was Christened at St Chad’s in Shrewsbury on 27 November 1726. The likely timing of John’s birth fitted neatly between those dates. I have since discovered that “John ye son of Roger & Anne Atcherly” was baptised on 10 March 1724/5 at St Julian’s in Shrewsbury. It was perhaps during such a visit that John met the woman who was to become his wife, and who provided him with good reason to settle in the city and set up in business there. 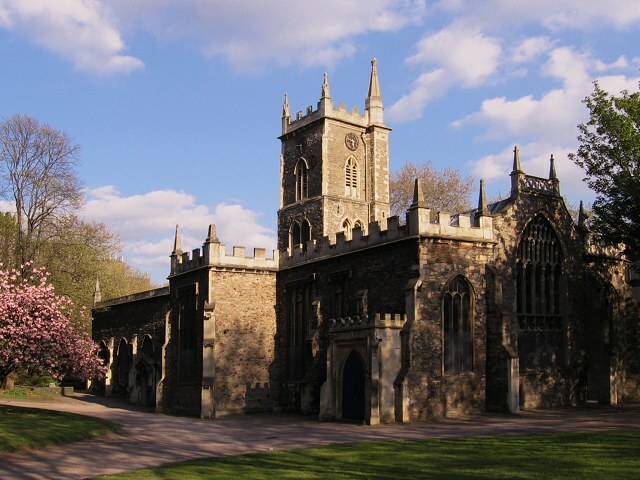 Putting aside such speculation, the first record of John’s presence in Bristol that I know of is that of his marriage to Mary Dart at the church of St Philip and St Jacob on 24 September 1754. This was the church where Mary herself had been baptised some 30 years earlier on 8 March 1723/24. St Philip and St Jacob was also the church where Mary’s parents, Arthur Dart and Mary Check, were married on 15 April 1723. Arthur’s will, dated 16 February 1762, shows that he was a victualler in Bristol (had his daughter Mary and John Atcherley become acquainted when John was taking refreshments at his hostelry?). It also shows that Arthur had by that time taken a second wife, named Ann (Mary Dart was buried at Bristol on 7 October 1739) and that his son-in-law, “John Atcherley of the City of Bristol,” was a tanner. Mary, it appears, was Arthur’s only surviving child as no other offspring were mentioned in his will. Mary was to receive the residue of Arthur’s estate after the payment of legacies (£40 to her stepmother Ann Dart, plus one pound and one shilling each to three of Arthur’s “very good friends” for the purchase of mourning rings) and the payment of his debts, funeral expenses and the cost of proving his will. No grandchildren were mentioned in the will of Arthur Dart. Although three (two grandsons and a granddaughter) had been born, all of them had died during his lifetime. John Atcherley junior was buried in Bristol on 15 December 1756 (probably within a year or so of his birth), Arthur Atcherley was laid to rest on 3 September 1758, and Ann Atcherley was interred on 27 January 1761. Most Gracious Sovereign, Sept. 28, 1775. WE, your majesty’s dutiful subjects, the mayor, burgesses, clergy, freeholders, and inhabitants of the city of Bristol, at the Guildhall assembled, beg leave to address your majesty on the present conjuncture of affairs between Great Britain and your American colonies. With gratitude we acknowledge the many and real blessings we enjoy under your majesty’s mild and auspicious government; during which, the trade and commerce of this ancient and loyal city have increased to a degree unknown to former times, to be attributed only to the wisdom of your majesty’s councils, and the many excellent laws lately passed for the encouragement of those inexhaustible sources of wealth. Truly sensible of your majesty’s unwearied endeavours for the support of the religious and civil rights of all your subjects, we cannot but with astonishment behold the conduct of a few disappointed men, whose sophistical arguments, and seditious correspondence have, in a great measure, been the occasion of deluding your American subjects into open rebellions. As British subjects, we testify our abhorrence of this unnatural rebellion; and, though we deeply lament the misfortunes our American brethren have brought upon themselves, yet we cannot but express our warmest wishes for the success of those measures your majesty hath adopted in support of the legislative authority of Great Britain over all our dominions, which we trust will now be permanently established; and hope, that the loyalty which prevails here, will soon convince our fellow subjects in America of their error, and bring them back to a just sense of their duty and allegiance; this, and this only, can restore them to your majesty’s favour, and to that flourishing state they so long have, and still might have, enjoyed. May your majesty’s councils ever prevail to the extirpating of licentiousness; and, by a firm establishment of real liberty, may you triumph over the enemies of our glorious constitution, and long continue to reign over a free, united, and happy people: to obtain these great ends, we assure your majesty of our utmost assistance and support; and declare, that a zealous attachment to your royal person and family, a veneration for the laws, and an ardent affection for order and good government, are the principles which direct and animate our conduct. Within a year, on this day in 1776, the Continental Congress of the thirteen colonies – the thirteen united States of America – had adopted the Declaration of Independence. As mentioned above, John Atcherley died the following year, on 11 July. A notice in the Bath Chronicle described him as “Mr. John Atcherley, general surveyor of all the Bristol turnpike-roads.” John predeceased his mother Ann, who lived until 1783. A consequence of this was that John did not receive much of an inheritance from his father Roger. According to his will of 1755, Roger had already made a settlement which ensured that Ann was to receive his freehold tenement in Frankwell and that this would pass to John on Ann’s death. Because of this and other things which Roger had already given to John, in his will Roger directed that John was to receive “no more than one Shilling if he will be pleased to accept it” (see Roger Atcherley and his one shilling legacies). Ann’s longevity meant that John never took possession of the property in Frankwell. John’s own will had been written on 5 January 1768. Having no heirs, “John Atcherley of the Parish of Saint Philip and Jacob in the County of Gloucester Tanner” bequeathed the residue of his estate after payment of his just debts and funeral expenses to his “dear wife Mary her heirs executors administrators and assigns.” The will was proved by Mary in London on 9 August 1777. Within three years of this she herself was laid to rest, on 2 May 1780, in Bristol. Meanwhile the American Revolutionary War raged on, finally ending on 3 September 1783 with victory for America and the Fourth of July forever remembered as the birthday of the United States. Given the opposition to American independence which had been expressed by John Atcherley and many other denizens of the city of Bristol in England, it seems a tad ironic that “the oldest continuous Independence Day celebration in the United States” is the Fourth of July Parade which takes place in a Rhode Island town named – you’ve guessed it – Bristol. Picture credits. Photograph of the church of St Philip and St Jacob by William Avery, and used under its Creative Commons Attribution-Share Alike licence. 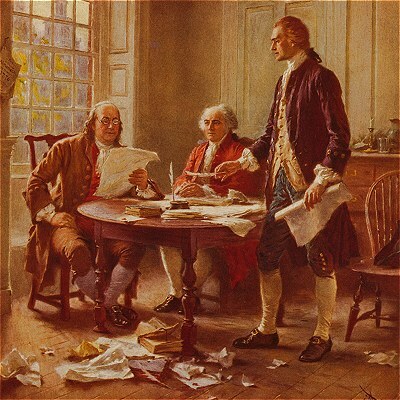 Image of Writing the Declaration of Independence, 1776 from the US Library of Congress website; no known restrictions on publication. Bristol and Gloucestershire Archaeological Society (1995), Gloucestershire record series, Volume 8. FamilySearch shows the burial of John Atcherley, age 52. Batch B17288-7. Film 1596926. Anon (undated), transcripts of Atcherley wills and administrations held at the Society of Genealogists, London. Condover, Shropshire, parish register covering 1724. Entry for marriage of Roger Actherley / Actherly and Ann Thomas. Copies viewed at Shropshire Archives and at Findmypast. Indexed at FamilySearch, Batch M00883-1, Film 485952. Shrewsbury St Chad, Shropshire, parish register covering 1726. Entry for baptism of Sarah Atcherley. Copy viewed at Findmypast. Abstract in Shropshire Parish Register Society (1916), Shropshire Parish Registers, Diocese of Lichfield, volume XVI; St. Chad’s, Shrewsbury, volume II, page 933 viewed at Archive.org and at the melockie website. Indexed at FamilySearch, Batch P01575-2, Film 908236. Shrewsbury St Julian, Shropshire, parish register covering 1724/5. Entry for baptism of John Atcherly. Copies viewed at Shropshire Archives and at Findmypast. Barrie Trinder (1998), A History of Shropshire. Page 97. FamilySearch shows marriage of John Atcherley and Mary Dart. Batch M17287-3. Film 1596677. Ref ID item 2. FamilySearch shows baptism of Mary Dart, father Arthur Dart. Batch C01716-2. Film 1596656. Ref ID item 1. FamilySearch shows marriage of Arthur Dart and Mary Check. Batch M17287-2. Film 1596656. Ref ID item 1867. Will of Arthur Dart, Victualler of Bristol, Gloucestershire. Transcribed from copy downloaded from The National Archives, Documents Online, catalogue reference PROB 11/892. FamilySearch shows burial of John Atcherley. Batch B17287-3. Film 1596677. FamilySearch shows burial of Arther Archerley. Batch B17288-7. Film 1596926. FamilySearch shows burial of Ann Atcheley. Batch B17287-7 Film 1596926. James Sketchley (1775), Sketchley’s Bristol Directory. Anon, American Revolutionary War. Wikipedia (website, accessed 2011). Thomas Pownall (1775), The Remembrancer, or Impartial Repository of Public Events. For 1775. Volume I. Pages 208-211. Anon, United States Declaration of Independence. Wikipedia (website, accessed 2011). Bath Chronicle and Weekly Gazette, 17 Jul 1777, page 2. Condover, Shropshire, parish register covering 1783. Entry for burial of “Mrs Anne Atcherley Widdow”. Copy viewed at Findmypast. Abstract in Shropshire Parish Register Society (1906), Shropshire Parish Registers, Diocese of Lichfield, volume VI; Condover, page 300 viewed at Mocavo, Archive.org and the melockie website. Shrewsbury Holy Cross, Shropshire, parish register covering 1783. Entry for burial of “Mrs Ann Atcherly, Widow”. Copy viewed at Findmypast. Will of John Atcherley, Tanner of Saint Philip and Jacob Bristol, Gloucestershire. Transcribed from copy downloaded from The National Archives, Documents Online, catalogue reference PROB 11/1033. FamilySearch shows burial of Mary Atcherley, age 57. Batch B17288-7. Film 1596926. Anon, Independence Day (United States) Wikipedia (website, accessed 2011).